More than just a mall, the Westfield World Trade Center bills itself as a community where shopping, dining, culture, art and imaginative architecture intersect. 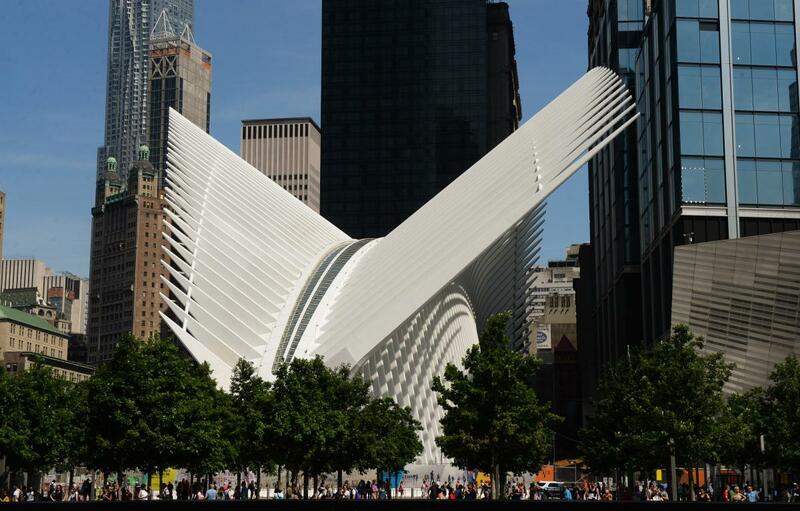 Centered around the Oculus of the World Trade Center Transportation Hub, this Lower Manhattan destination features premier retail brands, restaurants with inventive cuisine, events, digital media and a full slate of services and amenities. More than 100 stores and eating establishments—including Apple, Starbucks, Eataly, Tumi, Stuart Weitzman, Lobster Press, Sephora and Little Hunter Burgers—are taking up residency in Lower Manhattan’s largest shopping destination.